Awesome and free graphic design software! 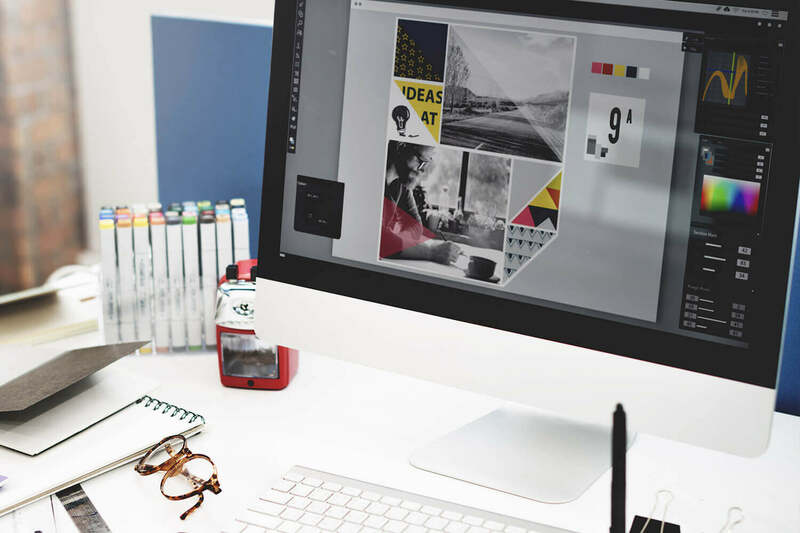 For those just starting out in the world of graphic design, software can be extremely expensive. Seeking out the free graphic design software is the best option to help you get started. To help you get going, we’ve collected a list of the best of the best. A full featured vector design app that is perfect for animations, illustrations and icon designs. Perks: Allows on the go access with the Gravit Cloud service. Editor for 2D vector graphics, all the vector features to get you moving towards your goals. Lots of options for your design needs. Perks: Browser-based app and desktop app with live collaboration. Scalable vector graphics provides a format to recreate vector drawings. Another great option for focusing on the SVG format with additional features not available with other apps. Perks: Bitmap images tracer and importing of illustrator files. Photo editing, color palettes, a wide selection for fonts and resources with free templates and design elements. Photo editing without the cost. Perfect for photographers and designers alike. Perks: Image enhancement, contrast and many advanced editing features. Not your old school paint app. The best option for artists and illustrators. Full set of brushes and filters. Perks: Stabilizers that smooth out shaky lines and modes to create seamless textures. Overlays, boarders and effects for days! Perfect for cropping and resizing images to removing red-eye in your pictures. Perks: Similar to Photoshop, easy to use. Special effects which allow you to add fake perspective, blend modes and so much more. Perks: Lots of selection tools and options for adjustments. Your basic photo editing software with the ability to import documents from your hard drive. Works with: Browser but you must have Adobe Flash Player to load. Perks: Easier accessibility with a floating toolbar. Similar to Photoshop this free option has everything you need including cloning, enhancement and color correction. Perfect for 3D beginners to get their feet wet and begin designing. Perks: Free library of models for download. 3D figure tool for posing, animation and customization. Perfect for clothes designers, creators and artists looking to go 3D. Perks: Offers the same if not more services than paid versions. Another good option for those just starting with 3D. This is the next step following Daz Studio for final rendering. Perks: Freehand modeling, UV-mapping and advanced 3D paint. Open source 3D content creation- unlimited 3D design. Perks: Modeling, texturing, animation and compositing. A great starting point for all skill levels this digital sculpting is a perfect option to get started. Perks: Lessons and abilities gained in Sculptris can be directly transferred to ZBrush. A free version to help expand your knowledge and abilities to better yourself as an artist and designer. Perks: All the access and value of the paid version without the cost. A simple infographic generator with an array of charts to choose from that connects data in real time. Perks: Powerful yet easy to use. A resume generator that turns you and your professional back story into an infographic. Perks: Perfect for artist, designers and those seeking the wow factor. Access to a wealth of design elements, fonts and much more including templates. Perks: Ability to upload your own graphics. One stop shopping for graphs, charts and maps- except free! Data can be easily edited in real time. Perks: Ability to use your own pictures and videos in your infographics. A great choice for those looking to make quick yet powerful designs. Designed for windows, a perfect free alternative to Dreamweaver. Perks: A great way to explore without the cost. A library of open source web fonts. Perfect for exploring and designing fonts of your own. A home for all skill sets, a place for artists and designers to find work and showcase previous works. Another great choice for showcasing your work, a blogging platform with a possibility to earn extra income and attract new clients. Perks: Access to resources to get you started. A platform that allows you to showcase your designs and explore what your fellow designers are doing.